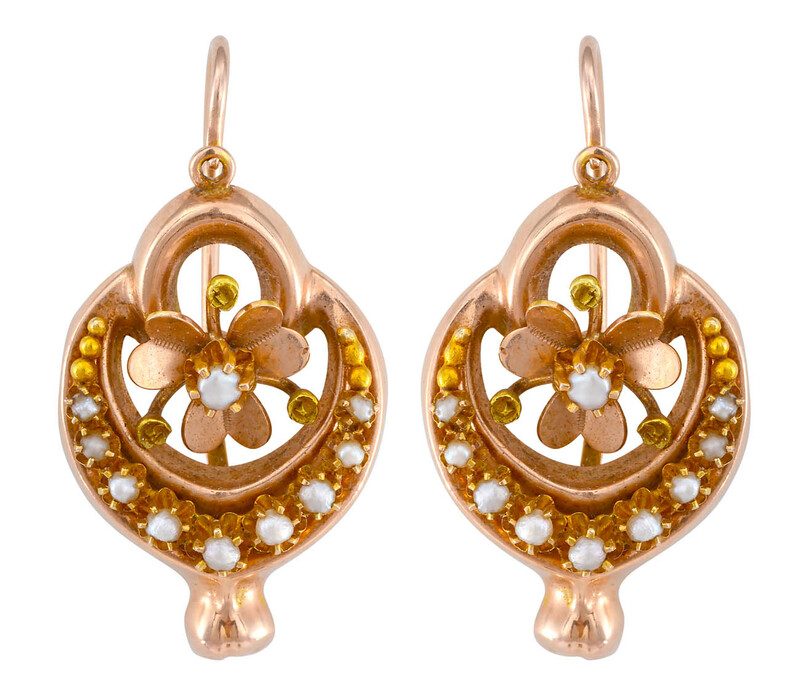 Circa 1890's gold and half pearl earrings with continental fittings. Very feminine! Length 3.2 cms.